Hi friends! I hope you are having a great night! We are all prepped and ready for Thanksgiving. I'm excited! I hope you all have a wonderful Thanksgiving, if you'll be celebrating. 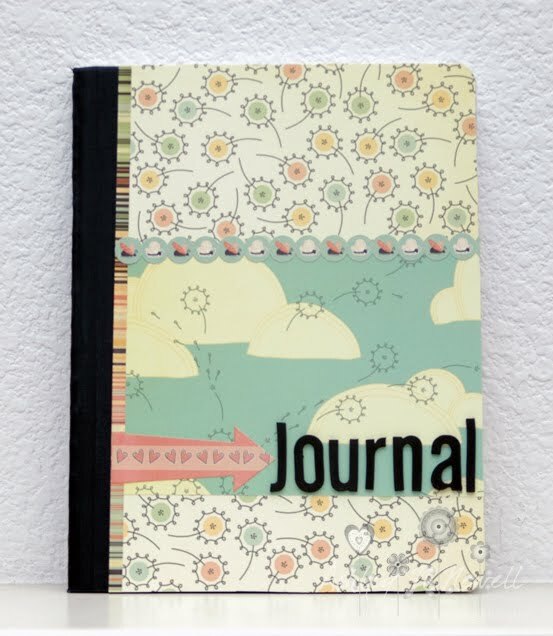 Here's another journal that I made for the craft fair a couple weeks ago. I used some Cosmo Cricket Earth Love papers and stickers. I added some Thickers to spell the word journal. This is awesome! Love it! !